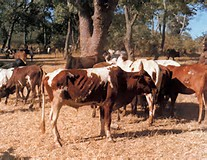 A serious cattle disease has broken out in Keembe, Chisamba and Kabwe and farmers are scared that if the outbreak is not contained, their livestock will be wiped out but the veterinary department in Central province says they do not have kits to combat livestock disease and are asking the affected farmers to pay transport costs and allowances for them to go and assess the situation. Farmers in the affected areas and the Livestock and fisheries ministry officials have confirmed the development. 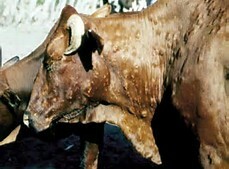 To date the disease remains unknown but was noticed around mid January and reports submitted to Kabwe. “We are scared that our animals will be wiped out if no quick intervention is put in place. we reported to Kabwe and were asked to provide logistics for the officers to travel here but we are just from incurring huge costs in procuring inputs and yet they want us to pay, we are suffering and this PF government will wreck the country,” said one farmer. And an officer at the Livestock ministry in Lusaka has confirmed the outbreak but said that logistics were a challenge in the ministry. the officer accused the Permanent Secretary David Shamulenge of spending huge money on useless tours around the country, leaving nothing for interventions. He also said that the ministry has very little stocks of drugs thereby making it academic exercise even if officers go out to affected areas. Meanwhile agriculture minister Dora Siliya has continued with her attacks on the civil servants blaming them for sabotaging the agriculture system. She has also now accused the government selected agro dealers of arm twisting the government.